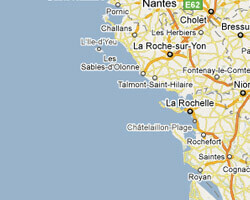 Vendée and Charente-Maritime are sea destinations very popular with families. At the seaside you can find beautiful sandy beaches bathed by the Atlantic Ocean. Many of us have memories of holidays in the dunes with the smell of pines. Islands allow to escape for a short or long stay. In Vendée and Charente-Maritime, there are famous seaside resorts as Les Sables d'Olonne or Royan, and others more secret and equally pleasant. Sea view holiday rentals for all budgets await you, from studio flats to luxury villas. 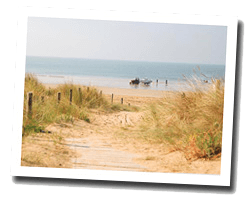 In Vendée and Charente-Maritime enjoy a seaview holiday rental. high-end villa 5 rooms 130 sq. m, in a residential area. creek 300 m, beach 700 m. living room and bedroom with sea view. 2 Terraces. 4 Bedroom(s), 2 double bed(s). short stays possibility. Price from 1351 € to 2009 €. Beautiful villa 9 rooms 500sq. m. Direct access to the beach without road to cross. Garden 6000sq. m with outdoor furniture, deck chairs and barbecue. 6 Bedroom(s), 4 double bed(s). 3 rooms apartment 51sq. m on the ground floor of a residence 3 floors. 30m from the ocean. balcony with outdoor furniture. Residence "de Saint Sordelin", 2 storeys. In a quiet position in the residential district, 20 m from the sea, 20 m from the beach, direct access to the beach, south-west facing position. 2-room apartment 48 m2 on 2nd floor. Balcony furniture. Very beautiful view of the sea. Price from 480 € to 765 €. 3 rooms apartment 35 m2 in a residence. Balcony with outdoor furniture. Shared outdoor swimming pool. View of the sea. Hôtel Les Jardins de l'Atlantique 3 stars with large heated swimming pool, tennis. Price is one week with half board formula. 1 Bedroom(s), 1 double bed(s). Final cleaning : included. Villa 11 rooms 320sq. m at the water's edge on the beach "Platin". Private wooded park 1800sq. m.
7 Bedroom(s), 0 double bed(s). Le Phalene is set just 30 metres from the beach in the town of Saint-Palais-sur-Mer. It offers fully-equipped studio accommodation and free parking.